You're on the home straight of your Three Day Sleep-Eat-Energy SEE Course, a taster for the full Quantum Health Hacks 21 Day Challenge. How are you eating? Yesterday's information might have been a little overwhelming (if you need a reminder, here's a link to it. 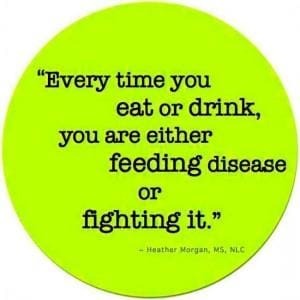 Food is either healing or harming you. If it's alive, it's likely to be increasing your energy. Before we begin, let's talk about your personal energy. It’s easy to be overwhelmed by the minutiae of life and miss the important points. Before you're thinking that you're out of energy or depressed, make sure you're not paddling upstream against a raging torrent. I mean, who do you have around you? What are you trying to achieve? Is it realistic? Who's in your army? My Dad always says, "Just get the right people around you. That's the main secret." Of course, our ambitions and goals can change by the week, month, year and decade. We have new opportunities arising all the time, chances of a new start at every breath. Your purpose might include being a wife, Mother, daughter, business-woman. It might encompass being a boyfriend, husband, Father, son, business-man. For sure you need to be a good friend, concerned citizen, perhaps a team-player, leader, manager. It might be to nurture your partner, raise happy children, be a good neighbor and community member, fill a need through your work or business, provide unending love and compassion, be an educator or evangelist, shape future policy, take care of the environment or animals, be a scientist, a source of inspiration or motivation, create art in whatever guise – food, gardens, music, paintings, poetry, prose, sculpture …the possibilities of your particular purpose are endless. One thing is for sure: it’s only through each of us finding our unique purpose and passion that we can find satisfaction and happiness. Only purpose and passion combined with adequate health give us naturally boundless energy. Note, that’s “adequate” not “perfect” health. Now, what would happen if the ‘phone rang and you received official notification of a huge lottery win? Imagine the figure which would transform your life: how would you feel if you were convinced beyond doubt that you had really won that amount of money? I suggest that it’s pretty likely you’d be dancing round the room, talking nineteen-to-the-dozen to your nearest and dearest, unable to sleep, bouncing off the walls. So… rather than a lack of energy, perhaps it's a lack of excitement in your life that’s making you feel tired? So let’s find out what passion and purpose will set you on fire sufficiently so that you are ready for the rest of your life. Why do you think that so many people don’t live a life of passion and purpose? It takes considerable mental and physical discipline to decide that which is most important to you. It’s so funny, surely, that we’ll spend longer choosing a holiday, a car or sometimes even a new ‘phone than we’ll spend considering what’s most important to our personal happiness and success. There are many ways of discovering what’s most important to you – but only you can find the answers. So discipline yourself to consciously choose the answers to the important questions of how to live and what to do with your limited time on this earth. Of course, your life may not change instantly and dramatically but over time your direction will determine the course of events for your life. The frustrated teacher was transformed when he thought of himself as a singer who taught at college during the intervals he wasn’t singing, rather than as a teacher. He’s singing at events and festivals in between his teaching and slowly his passion is taking more time than his former day-job. All because he had the discipline to determine what he most wanted to do with his life, and the determination to do it. “Putting first things first” is one of the key tenets of Stephen Covey’s“Seven Habits of Highly Effective People”. Consider your life as a bucket which you need to fill with the large rocks of major achievements along with the gravel of daily tasks and the sand of the endless small details of life. 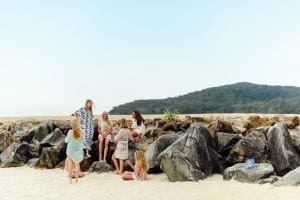 Now, if you pour in the sand and gravel first, the big rocks simply can’t be made to squeezed in – they stick out of the top in a most unpleasant manner, jagged and awkward, unable to be fitted in. But what happens when you put first things first, putting in the big rocks of your purpose and passion first? Well, of course all the gravel and sand simple flow around the rocks, filling all the tiny gaps, and everything fits. So too it is with all that’s important with your life: put first things first – do what’s most important to you first, and the rest of your life will squeeze in. Today's Your Day to Be Energetic. We only have today for you to begin, so here are your steps. Again, please don't read this! Or rather, don't just read this. This is your time to put your plans into action. So grab your diary and we can do it together. So if you have to, come back to this later - you can block out some time in your diary for when's going to work for you, later today. We've already looked at what the point of everything is, for you. Would you be doing what you are doing, listening to whom you're listening if you had one week left to live? Today, 131,000 people will die. That's someone every single second. And 364,000 people are being born every day. 364,000 new chances, new souls. The great thing is that your body renews itself every few days. And you can change your life any time you choose You can increase your energy any time you choose. When Lance Armstrong was in the hospital recovering from cancer, unable to move, he visualized himself strengthening his body and amazed his doctors with muscles which grew through the power of thought. "Thoughts are things". Thoughts have their own energetic resonance, their own frequencies. This is scientific fact that we're talking about, not imagination. More on that later. When you start doing things for yourself and you're not used to it, it's common to feel exhausted. The competing priorities burn up a lot of energy. That's why it's so critical to decide on your priorities right now and deal with them. Your diary comes in useful here: No matter where in the year it is, you can list your seemingly endless to-do list and then put a "critical date and time" beside each. Then pretend you can't do any of them yourself and put someone's name against each. Anyone you could ask if it was life or death. Which it is: it's your life. You don't have long. Any time you waste is not recoverable. You can make more money but you can't make more time. So make that list until you can see the one priority which you need to deal with first. And write down the first step. And diarise when you're going to do it. That's how to take charge of your life. And you do need to take charge because otherwise other people take charge of you. When you recognize your time is limited and precious, you can deal with your energy more easily. We all only have 24/7. We all only have a limited amount of willpower and focus. Don't squander these: they're your most precious gifts. Learning to live in timelessness instead of being drawn into time, connect with the understanding of all things, becomes easier when you can quieten your mind. How balanced are you across your life - spiritually, personally, emotionally, with family, friends, work, community, recreation? As a recovering workaholic, I know that balance doesn't come easy for some of us. That constant seeking of approval, recognition: it's exhausting. And you know what, it's pointless. When you can take charge of your own energy through knowing your purpose and your priorities, everything's easier. When you meditate, "put down your worries" and quieten your mind. When you are mindful, you live in the moment. It's impossible to be anxious when you are meditating or mindful. Worries are either about the past, which you can't change, or the future, which hasn't yet come into being. The present is literally just that: a gift to us. Yet how often do we squander that gift? Just like missing the beautiful sunrise every day, how often are we missing the moment beauty of the moment by being distracted and dishonestly pretending to be aware when we're not really? If you want something else for free first, here's a simple and free meditation introduction from the beautiful Emily Fletcher. So much is known about the benefits of mediation now that Presidents and CEOs, elite athletes and film stars, high achievers and all consciously aware individuals strive to meditate. Yet it can be hard to quieten the monkey that is our mind, especially after decades of letting it run amok in an unruly and undisciplined manner. There are some very expensive devices to help with this, including NuCalm which is used by dentists and medical professionals worldwide, and ClearMind; the downside is that both of these but costs thousands of dollars, so are out of reach for most people. You can start your day by accessing a calm and blissful state with a morning meditation This can be anything from a few minutes to an hour. In a perfect world, a sunrise meditation is a beautiful start to the day, although that's not always practical or possible. But when you can, seeing the sunrise is a beautiful experience, and it's completely free. Midday is a perfect time to take ten minutes or so, for yourself. A short meditation, even just counting your blessings, can realign your body and mind to be able to better deal with the rest of your day. Don't despair if it's the end of the day and you've not yet meditated: just before you go to bed, you can take some moments to clear your mind from all the day's activity and experience the clarity of stillness. Bioresonance is all around us. It's an energy that flows through every living thing on the planet. Over the last 50 years increasing research has found frequencies, which can be artificially generated, and matched with specific structures that exist within the healthy body. As our understanding of the energy within our bodies progressed, it became easy to see the similarities between human bio-resonance fields and ancient knowledge relating to the chakras which correspond with recent scientific evidence of neural pathways. A specific electromagnetic signal can cause a response in our bodies. To understand this phenomenon, we must start from the knowledge that in living structures, the biochemistry dynamics can be maintained and coordinated by biophysical interactions across electromagnetic fields. The earth is believed to be 4.5 billion years old. Our ancestors have been around for six million years, with the earliest fossils of anatomically modern humans from only 200,000 years. Yet we humans have been generating man-made electrical frequencies since only the late 1800s. That’s less than 150 years ago. It's proven that every living thing on the earth operates ideally when exposed to natural frequencies. In the last few decades, we have become exposed to huge amounts of man-made electromagnetic frequencies generated by electrical power lines and appliances, WiFi transmissions and mobile phones, industrial and military machinery – collectively known as “electro-smog”. These artificial frequencies compete with and overpower the natural ones and can put our minds and bodies literally “out of tune”. Being in nature, deep breathing, practicing forgiveness and gratitude, can all really help raise your own energetic frequency. The old joke goes that there are two kinds of people: drains and radiators. The first drain you of energy, the second radiate energy to you. 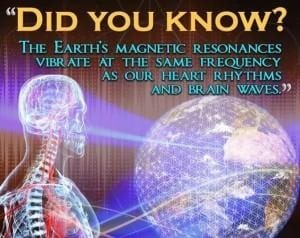 This is physically true as well as philosophically: the HeartMath Institute and others are instrumental in measuring the electrical signal of the heart, allowing us to control and direct our heart's resonance to benefit ourselves, our family, friends, and colleagues. Why is this important? We know that emotional stress and the strains of modern life hasten cognitive decline. Memory, focus, and concentration are very vulnerable but it is possible to learn to take care of your brain, improve mental functions, remain alert and develop your personal resilience. Did you know that your thoughts are actually electrical impulses? Every single thought you have is physically affecting your body. Repeated thoughts create physical changes so that they can happen easier - so if you have negative thoughts these get more frequent, and if you are positive it becomes easier to become positive. The School of Engineering at the prestigious MIT explains it well here. Some years ago, I attended an outstanding course called The Soul And The Ego. I include a lot of the learnings from that course my teachings. Just quickly for today, it's worth considering who is in your own Soul Group. Your Soul Group consists of those souls - those human electrical systems - who have the most influence over you. Who you spend the most time with. When I was a teenager, my parents drove me crazy saying that "You are who you mix with". Now it's important to mix with diverse groups of people, in my opinion, because nothing gets old faster than when you stop learning. But consider who has the biggest influence on you? Who makes it on the list of people with whom you spend the most time? Change your soul group, change your life. It's about being clear in knowing who you want to become? If you don't know, how can you get the information to get there? Once you know, you'll feel so grateful because everything becomes easier. And we know that gratitude leads to wisdom. Wisdom is a permanent connection with knowledge. So trust in yourself and those around you - just choose carefully who's around you. The most successful people in the world have mentors, coaches and supporters. In 2015 I was invited to attend my first AFest, in Costa Rica. Being with 350 changemakers, innovators and entrepreneurs was exhilarating. That event's grown now, to 2000+ people. Who you are with, the ideas and actions around you, these really affect you. In one of the most beautiful places of the world, with TED quality talks by day and the best parties I've ever been to by night, what everyone at AFest has in common is commitment to working with coaches, mentors and professional advisers to achieve their life's purpose. I discovered more about myself, where I want to be going, how I want to get there and who I want to travel with. Meeting some of the most innovative and incredible movers and shakers from around the world, I have been inspired beyond words and motivated to action this inspiration by sharing it with you. 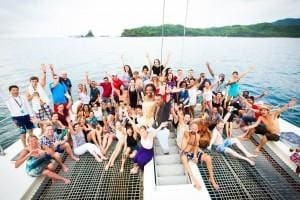 One of the most valuable lessons I learned was connecting with those who matter and working within the right tribe to create the great things we are destined for, together. We all realize that knowing when to contact a medical professional, for example, can be a matter of life and death. Getting the right professionals around you in all areas of your life is crucial to your wellbeing. We know that if you don't get on with your doctor, it's sensible to find yourself a new one. If you need advanced help with supplements or diet, find a naturopath or nutritionist to help you. In all of the five years of medical training, conventional doctors typically spend less than one day studying diet. No one person can know everything, no matter how clever they are. In the same way, I'm amazed when people try to make it up as they go along. As an Optimiser, I know it's about finding what's worked in the past, looking at the best solutions currently available anywhere in the world, being clear about your future and then working with one or more of the other 7+ billion people in the world to be the best you can be. To create the best you can. To love the most you can. To sing and dance and celebrate this grand passion that is our life,. We now know beyond a shadow of a doubt, that everything in this world is in vibration. All that empty space within cells, molecules, atoms, is humming away with electromagnetic energy. So, what do you vibrate? What are you attracting? How you live is entirely your choice. It's your choice how you love. We haven't even had chance to talk about visualization. Or the field of consciousness - the thought field, if you prefer. ... to being able to impact health for the better around the world. Let me share with you how this is achieved. I'd love to spend more time with you. Start by spending time with us inside the Boom! Support Group on Facebook: click here to join us https://www.facebook.com/groups/boomadvocates. When you start behaving differently, your thoughts change and your changed behaviour is reinforced. Imagine if you can learn how to not avoid anger, but instead how to manage it. How to change your vibration and see the other people around you change theirs. Then the messages back to you change. How to set yourself free with faith and trust in yourself. Everything that is known can be known and will be known is available to you now. How to narrow down to be specific about what you want to manifest. Remember: be careful whose opinions you ask. Be careful who you discuss anything with. Keep your energy intense - don't share it, lose it, dissipate it. Remember to move as much as you can. Even if that's just a stretch to start with. Or upper body exercises while you're sitting down. As much as possible, move your legs because your thigh muscles help activate your stem cells. Easy way: take the stairs, walk a little further than normal, stretch. And finally, love and be loved. It actually helps you live longer! Change your behaviour and your thoughts will change. Thanks for being part of the Get Your Boom! Back Movement. PS Start by spending time with us inside the Boom! Support Group on Facebook: click here to join us https://www.facebook.com/groups/boomadvocates.